The Board of the Old Monterey Foundation has been busy the past several weeks appearing before various City committees and initiating contact with various agencies necessary to the development process for the Lower Presidio Historic Park. Besides appearing before the NIP Committee to explain the details of our preliminary implementation phase of the Master Plan, Bill McCrone, Frank Sollecito, and Patrick O’Dowd have attended meetings of the Colton Hall Museum and Cultural Arts Commission, which gave our project their highest priority and recommendation; the Parks and Recreation Commission, who found that our project is in accordance with their plans and programs; and finally the City Council on April 7. The Council recommended to the NIP Committee that our project be approved with a high priority, and generally applauded our effort to move the LPHP Master Plan to realization with development of a park setting and amenities for the public. 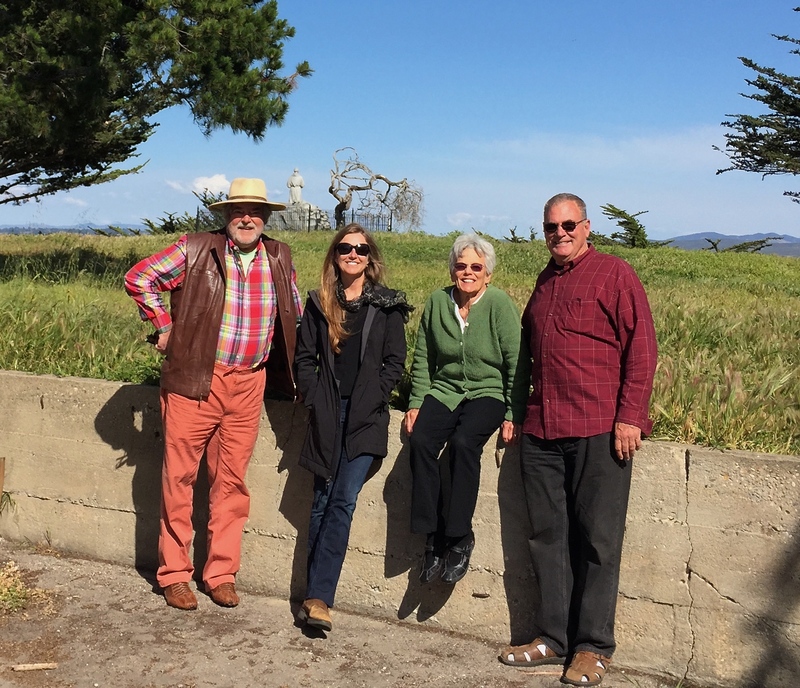 On April 9, the sub-committee (Sollecito, McCrone, O’Dowd, and Kip Hudson) met on site with Laura Prishmont Quimby, the Archaeologist and cultural Resources Manager of the Presidio, and the person for the Army tasked with overseeing assets such as the Lower Presidio. She expressed considerable enthusiasm for our project and promises to give priority to assisting us with development if we get preliminary funding from the NIP Committee. She explained that development of the Park according to the Master Plan involves various reviews by agencies responsible for environmental and historic preservation. We will need to provide a detailed map showing improvements and schematics showing the fence and walkway designs. Then the City will need to do a preliminary environmental assessment for her approval and submit for approval with a state historic preservation authority. We hope Kim Cole and Dennis Copeland, City planning and historic officials, will be able to respond to those requirements. Then Laura will process the environmental review with the DLI Commandant and Corps of Engineers. We have designed the preliminary Phase 1 to avoid any “digging”, which will postpone a more extensive review and coordination with affected Native American groups who have a statutory interest in preserving their heritage at the site. We will encourage such participation at the earliest date and the processing of approval for more extensive improvements that are planned for subsequent Phases of implementation of the Master Plan. That process takes about two years and Laura has promised to get started with it as soon as we have any commitment to funding from the NIP funds. Our goal is to have work started on site before the end of the year. We will have the opportunity to make our case before the NIP Committee on Thursday, April 16, at 7 pm in the Council Chambers. Come and show your support. The voting for NIP projects takes place the following Thursday, April 23.